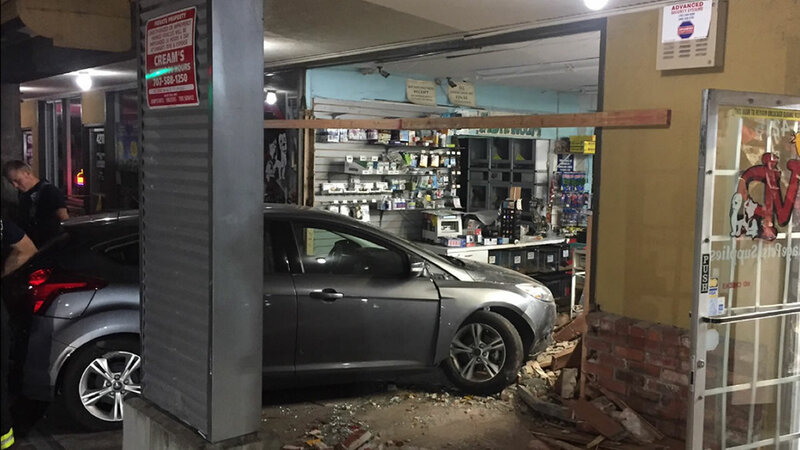 SANTA ROSA, Calif. -- Santa Rosa police arrested a man on suspicion of driving under the influence of drugs after he allegedly crashed his vehicle into a pet shop Monday night, a police sergeant said. Jeffrey Dallas Pearson, 26, of Santa Rosa, tried to walk away from the 9:20 p.m. crash into Village Pets & Supply at 4213 Montgomery Drive in east Santa Rosa, Sgt. Summer Black said. Pearson was detained when police arrived and he told police he smoked marijuana before driving, Black said. He estimated he was driving 60 mph when he lost control of his 2014 Ford Focus and crashed into the pet store, Black said. Police found evidence of possible alcohol consumption and of controlled substances in the Ford Focus, Black said. Pearson was booked into Sonoma County Jail on suspicion of driving under the influence of drugs. There were no injuries to people or pets in the crash, Santa Rosa fire officials said.